In between the freezing and rainy fall that we’ve been experiencing, there was one day that stood out with glorious 70* weather and beautiful sunshine. 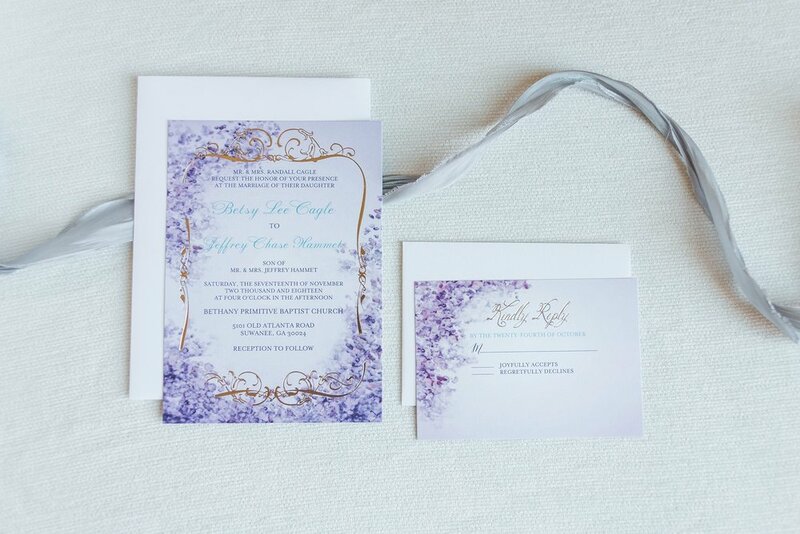 And that day was Chase & Betsy’s wedding day! I always hope that the weather turns out beautifully for my wedding couples...and wow, it was a gorgeous day for these two. We could not have asked for a better day! It has been a long time coming for Chase and Betsy. Their 8 year journey together brought them to this day. And everyone said “hallelujah” they are getting married! You could easily tell that over the years they have grown together as a couple; making their connection ever strong and ready to face anything that comes their way. Betsy is such a joyful person! Her smile lights up any room and makes everyone feel welcome and cherished. Chase you have found the sweetest bride! And speaking of Chase….he is so calm and collected. 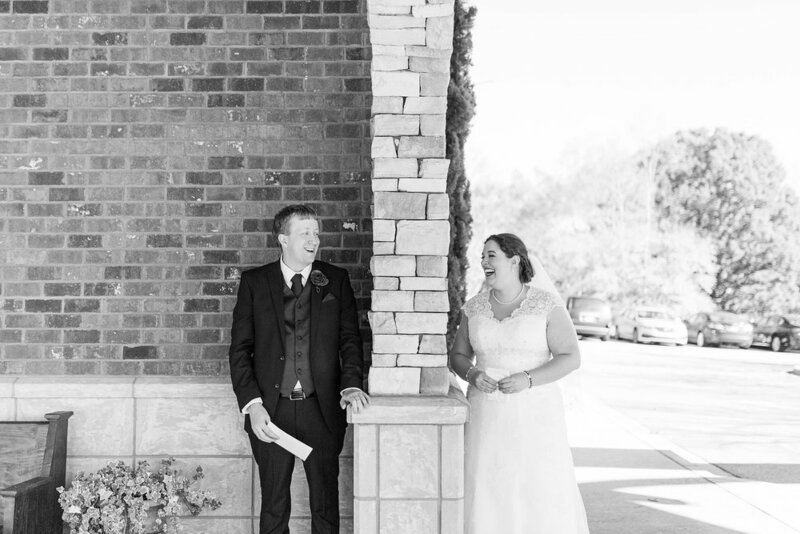 I’ve seen a lot of grooms be nervous on their wedding day - but totally not the case here. He was so upbeat and lively! Of course, I’m sure he had some nerves (who doesn’t) but his joy to marry Betsy was so evident. I sure do love to see how couples react to various moments of their wedding day. And it was so sweet to be a part of Chase and Betsy’s day. My favorite part about their wedding was all of the heartfelt emotions that were shown throughout the day. When Betsy hugged her mom while she was getting ready. When Chase took Betsy’s hand as they read their letters to each other. When Betsy noticed that she called Chase her “husband” for the first time right after the ceremony. 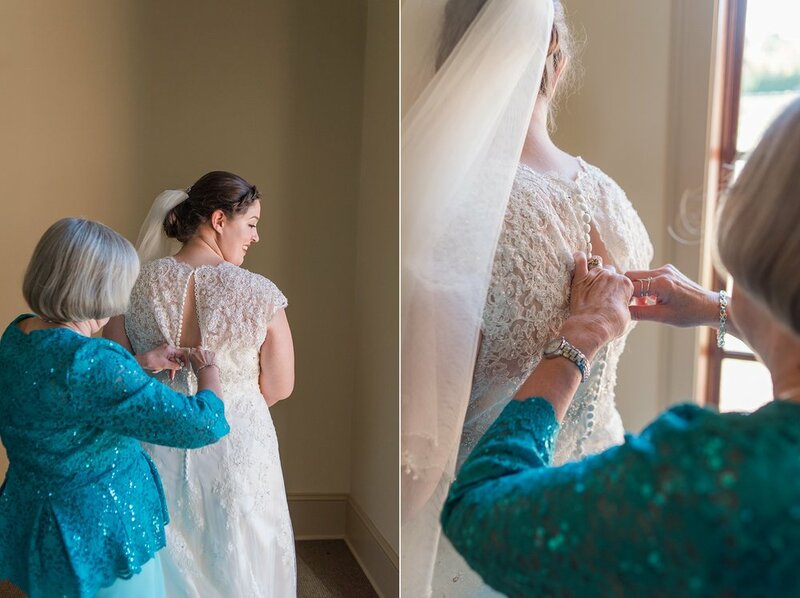 The little moments in between the main moments are some of my favorite things to capture in a wedding day! 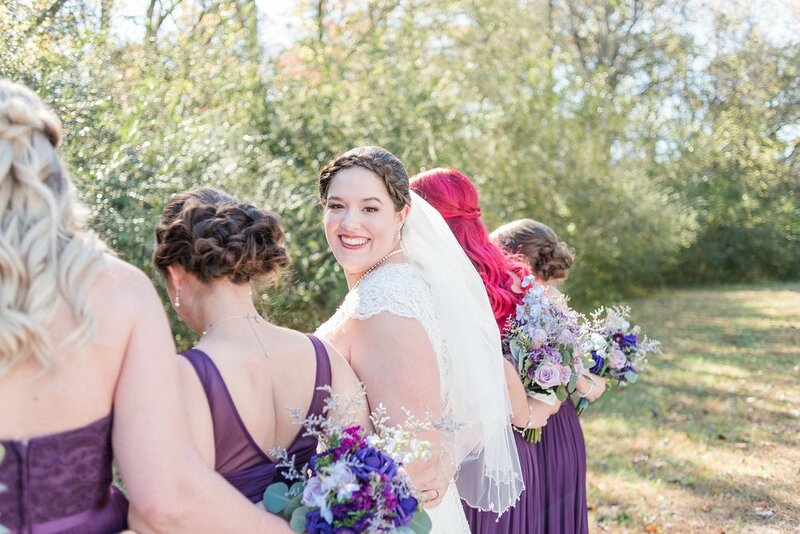 Here are some of my favorite pictures and moments from their wedding! Betsy & Chase wrote letters to each other to read before the ceremony and wanted to take a creative pictures of them together. 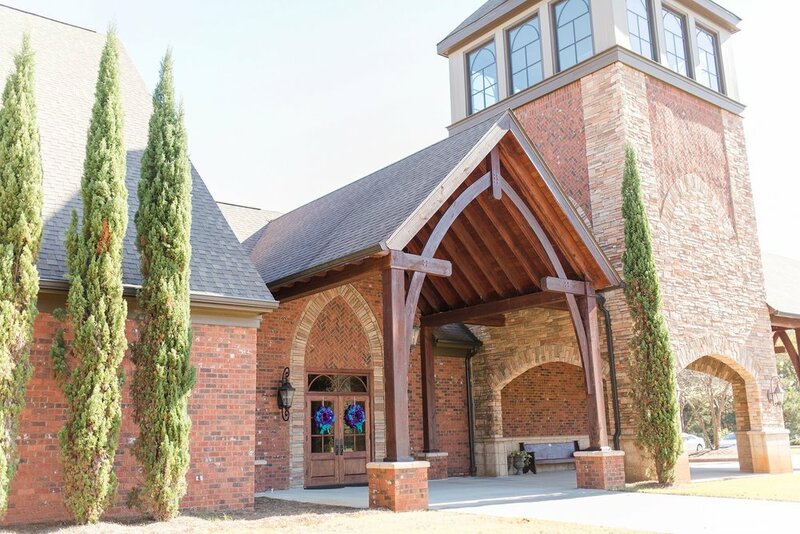 Since they wanted to save the first time that Chase saw Betsy for when she walked down the aisle, we found these perfect columns outside the church to use for this sweet moment. Chase and his groomsmen (and groomslady) were so easy going and chill just like Chase. For as many times as we checked on them and made sure they were locked away in their room (to not see Betsy beforehand) they were all so relaxed and fun about it. I’m pretty sure they were watching the game while we photographed the ladies. Win-win! For any couple that decides not to see each other before the ceremony, you better believe I personally make sure that the groom does not come sneaking out! Haha. Thankfully, the guys room had a great bookshelf that we were able to use for Chase’s picture. I really love how it turned out! A quick picture with the father of the bride as he saw her for the first time. So sweet! After that we were able to get a picture of the 3 generations of ladies with their wedding rings just a few moments before the ceremony.